Heritage Sports Review – One of the G.O.A.T. Bookies! Heritage Sports has been setting the highest standard in online sports betting since 1994. They’ve only grown over the years after acquiring The Greek and BetJamaica, managing to somehow keep up with great customer service, fair bonus packages and amazing sports betting lines. Heritage Sports can trace its history back to the 1990s, but were officially founded as an online sportsbook in the early 2000s. What we like about this sportsbook first and foremost is the fact that they are fully licensed and regulated by the government of Costa Rica. This type of licensure gives players the peace of mind that comes with dealing with an online sportsbook that is wholly legitimate. Though Heritage is known for many great things, it has recently made a name for itself thanks to its offering of Bitcoin as a method of banking. Bitcoin is somewhat new, but has completely changed the way the financial world functions, especially as it relates to online sportsbooks. Bitcoin is a type of currency that only exists online, and though this may sound weird, it is a now trusted method of payment that is taking the internet sports betting industry by storm. On top of everything else, Heritage is honestly just known for being the “GOAT” (greatest of all time, people) in the sportsbook world. They have continually evolved as a business and have never forgot about what got them to where they are today: the customers! Heritage offers some of the best lines and odds in the world, they ALWAYS pay out players and they have one of the best customer service departments anywhere. It’s no wonder why this site has continually set the bar so high year after year. Heritage Sports features a site that is very simple to use. The overall design is very bare bones in that there is not much flare. Other than the sports betting markets and a few advertisements for promotions and bonuses, there are not many unnecessary aspects of the site’s design. As far as the color scheme is concerned, Heritage features a black and gold theme. As useless as the site’s color scheme is, it was refreshing to be dealing with a site that featured something other than a black and red theme. Moving around the site is incredibly easy, even if you are a person who may not be computer savvy or has only limited exposure to the organization of online sportsbooks. The site may feature a simple design, but it is important to note that people make use of Heritage for many other reasons than the site’s layout or color scheme. Overall, they make account registration a breeze and make placing bets seem so fast and efficient. For players who have just created an account, you will be happy to know that there is a bonus applied to your first deposit. The bonus works by seeing Heritage match your initial deposit 50% with up to $250 in bonus funds available to you. This bonus only applies to deposits of $300 or more. So, for example, if you make an initial deposit of $300, you will be given an initial bonus of $150, and will have $450 with which to begin betting. In addition to this, there is a reduced juice cash back program that sees players rewarded even if the bets they place do not hit. Each and every person will receive a different cash back option based on how frequently they use the site as well as a few different factors, but the one thing that is for certain is that this is unlike any other bonus you will find at other sportsbooks. As if the reduced juice wasn’t enough, they are also willing to give you cash back. This is not something you find all that often anymore, and harkens back to the days when sportsbooks regularly rewarded players for their loyalty. If you check out their promotions page you’ll notice a plethora of offers for now just new players, but existing ones as well. These include promotions like your 8th deposit being free or scoring a FREE parlay on your birthday! One of the most trusted sportsbooks of all time. Great sign up bonuses and cash back offers. Amazing lines on the best sports markets. FREE parlay bet on your birthday! Smaller than normal list of sports markets. Doesn’t allow for high limit betting. Heritage is a site that makes it very obvious that they cater to a North American audience. As such, you will notice that the majority of the sports markets cover sports like baseball, hockey, basketball, and American football. While it is true that they primarily focus on American sports, we would be remiss to neglect to mention their coverage of other sports betting markets as well. When it comes to sports markets that may be more popular in Europe, such as soccer and tennis, Heritage sports also does well to offer betting lines on these sports as well. With regard to soccer, the events featured on the site cover popular leagues across Europe, the Americas, and the rest of the world. In fact, you will be hard-pressed to find a site that has better soccer coverage than Heritage. In addition to all of this, their live betting options are top drawer as well. You will find that the number of events covered by Heritage Sports’ live betting interface is outnumbered by only a few sites out there. As far as the betting limits you will find on Heritage Sports, these can be best described as middle of the road. You will hear people describe Heritage as a site that offers something in the middle of a recreational and a professional selection of wagering limits. For most sports the limits fall within the $3,000-$5,000 range, however some types of wagers see their limits capped at only $500. Luckily, Heritage does well to fully explain their betting limits as well as how they are applied. To keep things simple, we can say that Heritage Sports offers mobile capability that is up there with the best in the industry. The greatest thing about their offering of mobile betting is the fact that everything you are able to do on the traditional desktop site can also be done from any smartphone or tablet. Whether you are using an Apple, Android, or Windows device, you are able to access the full suite of betting options, including live betting. What’s more, there is nothing you need to do other than navigate to the site. There is no special app you need to download. By simply going to your device’s browser, navigating to Heritage Sports’ site, you are given the full betting experience right there at your fingertips. Basically, so long as your device is able to access the internet you will be able to place wagers wherever you are. When it comes to the security presented to you by Heritage Sports, it is about in line with what you will get from other top sportsbooks. In addition to this, you must also consider the security that is inherent in the fact that this site is fully licensed and regulated. Whether you know it or not, the fact that Heritage Sports is licensed means that the sportsbook is trustworthy and transparent; two words that are excellent when used to describe an online sportsbook. As far as the account creation process is concerned, this is something that takes only a matter of minutes. You do need to supply some personal information, such as your name, email address, physical address, and phone number, but this is not too different than any other site. Once you have provided that information and verified your email address, it then becomes time for you to make your first deposit and begin betting on sports. As far as the deposit options available to you are concerned, there are a lot of tried and true methods that you can use when funding your account for the first time. Depending on which option you choose, the max deposit amounts vary from $500 to $2,000 per week – however, this can be lifted by talking to support. As far as the best funding option is concerned, we have to go with Bitcoin. Not only does Bitcoin feature the quickest processing times, it also features the lowest fees (there are none). The maximum amount to deposit and withdrawal using bitcoin is also $10,000, which is well above the normal for the other options mentioned above. When you submit a withdrawal request there’s a chance you may be asked to provide identification to ensure security of your funds and to make sure it gets to YOUR ending destination. Most cashouts are handled and processed with 2 to 10 days, depending on the method used. 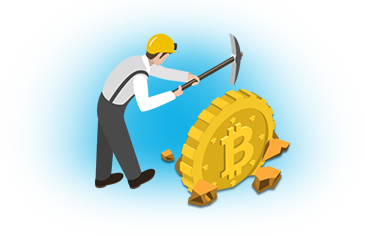 The fastest cashout method is bitcoin, which is sometimes processed same day. It’s not hard to see why Heritage Sports is one of the greatest online bookies of all time. They have been in business since the early 90’s, have always paid out players and have kept up with the times in terms of their site design, layout and responsiveness. Overall, there’s nothing that I can truly nitpick about this site. Sure, it’s more of a recreational bettors type site these days – but aside from that, Heritage always pays its players and offers so many things to keep customers interested in betting on sports that it would be criminal to NOT have an account here. Great lines, an advanced betting platform, tons of live betting options and the reputation of being one of the best sportsbooks in the industry today keep players coming back to Heritage.